Unique By Nature? Yes, We Are! On the nature trails at the Heard. That’s a question we frequently get at the McKinney Convention & Visitors Bureau. Those of who live here, know: it’s that “special something” that brought most of us here, the reason we chose to call it home. So what is unique about McKinney? That’ll take several blog entries to explain, so today, we’ll start with a word that is in that description – our nature (which was even incorporated in our logo in the way of a tree). Most cities have trees and nature; we know that. But McKinney’s nature is different. Over the years, those who have sculpted McKinney into what it is today have worked diligently to incorporate and preserve nature in as many ways as we can. In this blog entry, we talk about one of those special places where visitors and residents can enjoy nature to its fullest and most pristine. This museum was the vision of McKinney native Bessie Heard (1886-1988) who donated the land and started the museum back in 1967 when she was 80 years old. 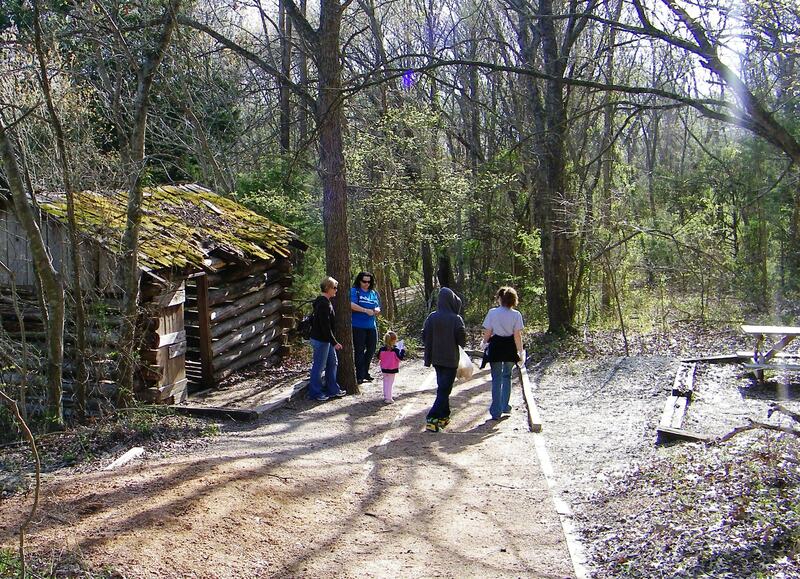 The beautiful 289-acre wildlife sanctuary on which the Heard Museum sits features more than six miles of natural walking and hiking trails, some more hilly than others as they wind through woodlands, prairies, and grasslands. More adventurous guests can even call ahead and schedule an Eco-Adventure (a canoe tour of the wetlands) or for groups of 10 or more, challenge themselves on the high and low elements of the ropes course in the Heard’s deciduous forest tree canopy. A nature museum displaying native wildlife and special exhibits also houses a store that kids and adults alike will enjoy exploring for books, maps, science tools, toys, T-shirts, and do-it-yourself kits of all kinds. Also on the property, guests will find a beautiful outdoor amphitheater where concerts, bird and wildlife lectures, and other events take place throughout the year. 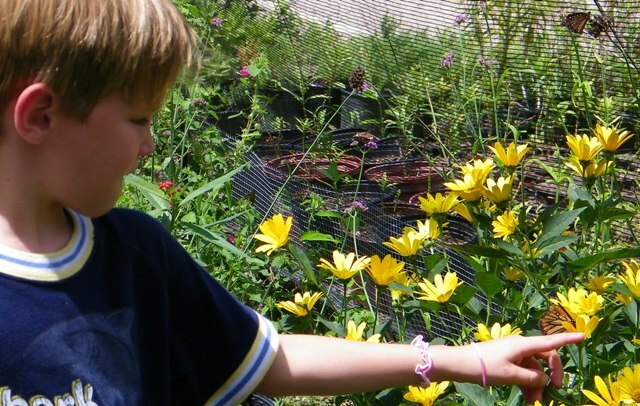 In the summer, the Heard’s Native Texas butterfly garden and butterfly house are filled with brilliantly-colored winged creatures and numerous species of flowers. We recommend you peruse the Heard’s website to learn of all the educational programs and events they offer, including children’s camps, night hikes, birdwatching and tagging, snake feeding, the Animals of the World exhibit, as well as Spring, Halloween and Christmas events, and many more. And their science building and other facilities are available for church gatherings, meetings, weddings and other events. Watch out for the spitting dino! The pièce de résistance at the Heard, though, would have to be the Dinosaurs Live! event happening annually from fall into winter. (The animatronic dinosaurs will inhabit the sanctuary starting Oct. 2 this fall until Feb. 3, 2013.) Walk the nature trails to find them hiding along the paths, moving and making noise in natural settings. Their Halloween at the Heard event is especially thrilling for youngsters as they trick-or-treat along the nature trails at dusk, watch an outdoor movie and compete in a costume contest. 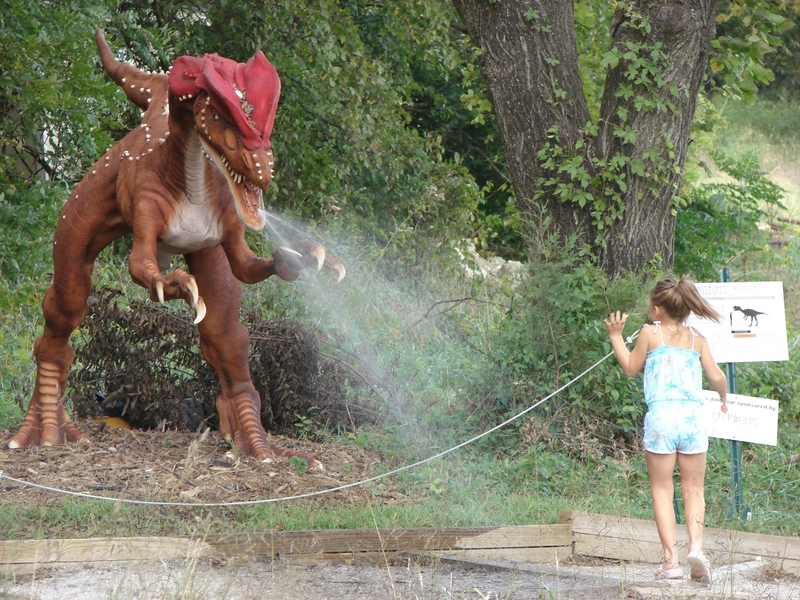 But be careful – there is usually a water-spitting dino among them, always a favorite with the kids! Bring the camera to capture poses with the 46-foot T-Rex and his friends, who are all made right here in McKinney by Billings Productions. 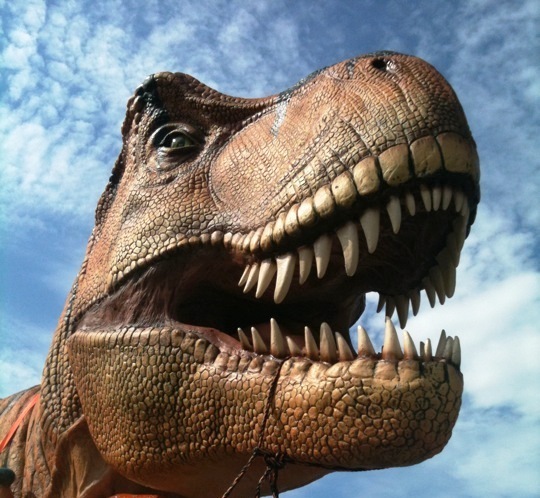 The 46-foot tall T-Rex is a favorite among kids. Whether you’re visiting us in McKinney, or that “special unique something” has caught you, too, and you’ve decided to call McKinney home, there is a little piece of nature for everyone. 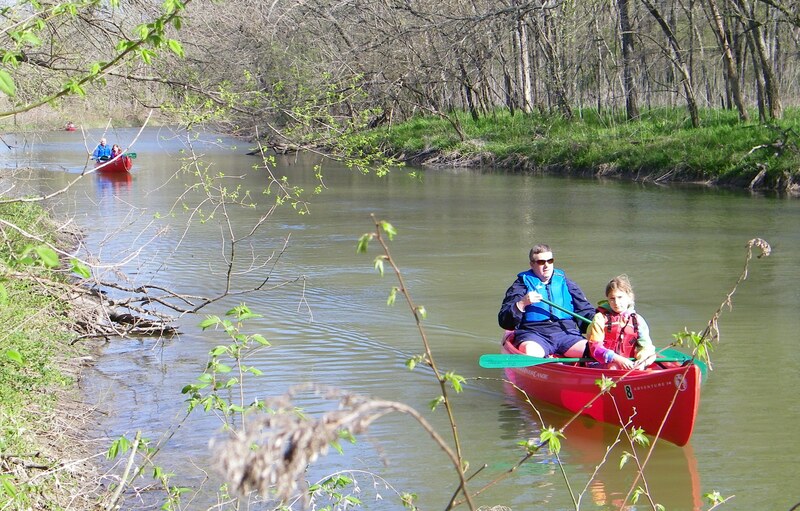 More examples of how you can enjoy nature in our city will come in this blog entry’s sequel next week. Visit McKinney Texas: Where to find us! Remember “everything McKinney” is always at your fingertips with our Smartphone app. Links for downloading it to iPhone, iPad and Android can be found HERE. And if you need to check out McKinney on your computer, you can find us at our website or on Facebook and Twitter. We’re even working on growing a Pinterest page! And if you’d rather pick up the phone, you can contact the McKinney Convention & Visitors Bureau at 214-544-1407 or tollfree at 888-649-8499.